Asset protection, measurement and safety devices. Insulect has one of the most comprehensive ranges of transformer protection and control devices available in the market. 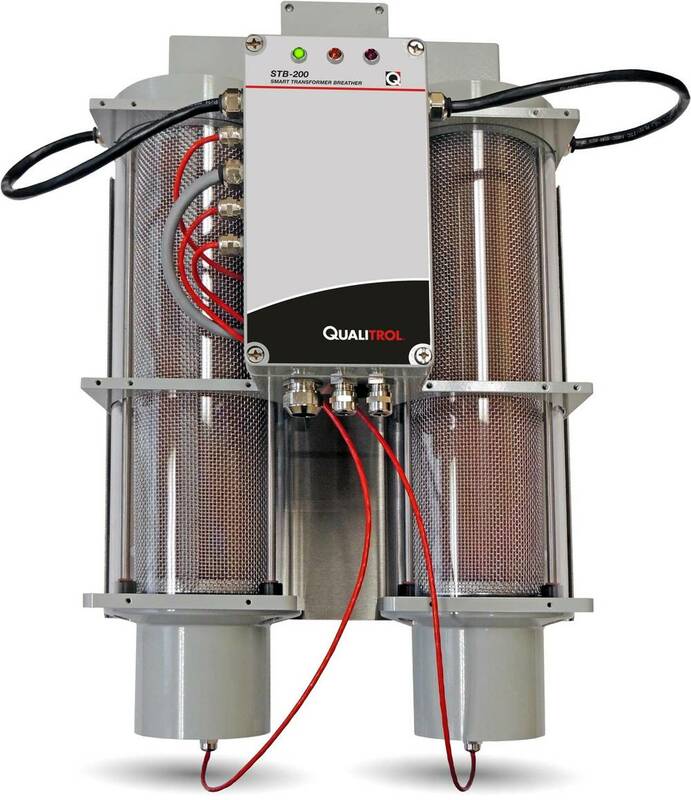 Our primary partner in this field is Qualitrol, a world leader in rugged, reliable transformer systems. We provide advice, applications engineering and specification support to transformer OEMs, utilities and industrial customers for new transformers, retrofitting and aftermarket needs. Direct and remote mount thermometers, winding temperature indicators and fibre optics monitors. 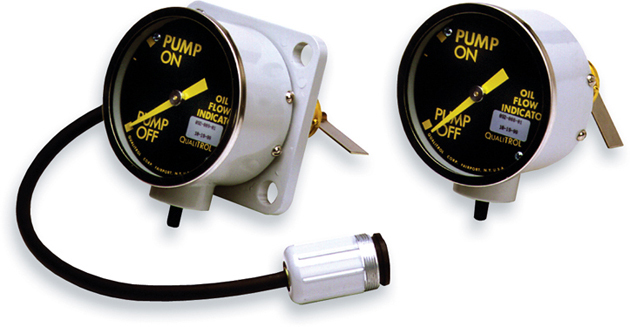 Pressure controls, indicators, pressure relief devices (PRDs), and rapid rise relays. 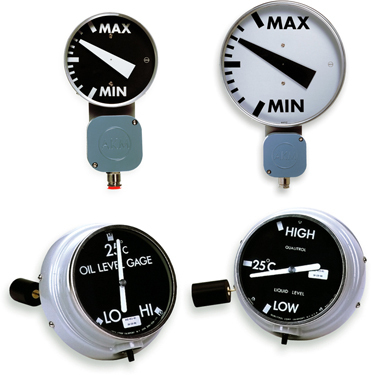 Complete range of oil level indicators to suit any size, shape, configuration, direct or remote mounted. Directional flow indicators for forced cooling applications. 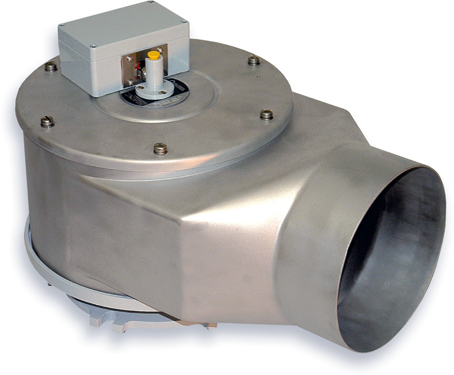 Standard range of transformer breathers as well as self dehydrating breather. Gas accumulation indicators and Buchholz relays. From the smallest direct mount "contact" thermometers, right up to the popular Qualitrol AKM OTIWTI remote mount thermometer, we've got a transformer temperature indicator for your application. Side and top direct mount. 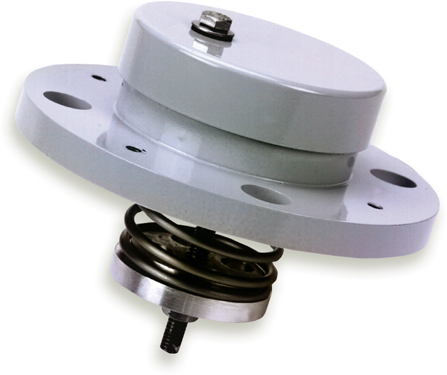 Rugged, reliable, corrosion resistant design. Proven over decades in the field and trusted by many. We provide a full suite of transformer pressure related devices: for pressure indication, control and switches, and pressure relief devices. All transformer sizes and specifications are catered for. A complete and customisable range of accurate transformer oil level indicators (OLI, OLG) for any transformer size or application. From the most basic of designs, to electronic indicators with switches for control and alarm functions. Side, vertical or remote mounted. Wide range of sizes and configurations. Accurate and rugged for longevity and reliability. Flow devices are designed to indicate “pump on” and “pump off” conditions within a transformer that has a forced cooling system. The rugged design is complemented by flexible alarm switching and installation options. Large dial face provides easy viewing and is magnetically coupled to the flange assembly allowing leak free replacement if damaged. Breathers perform an important function capturing moisture before it can enter the transformer and cause degradation of the insulation system. Our range covers traditional breathers that are manually checked and maintained - to change out the desiccant once it becomes saturated with moisture. We also provide a wide selection of "smart" breathers - devices that are self-dehydrating, require little-to-no maintenance, and offer much greater safety for your transformers. To meet the growing need to more comprehensively monitor critical network assets such as transformers with a live stream of data available, we provide single application and integrated monitors to suit just about any fleet requirement. From individual monitors for temperature, dissolved gas or moisture, though to modular systems that can be customised to individual customer or individual transformer applications - making it easier to control, dynamically load, and optimise your transformers. Buchholz relays are needed to collect the gas in the upper chamber giving an alarm signal when it reaches a consistent volume of gas or a tripping signal when the speed of insulating fluid toward the conservator reaches the preset value. Gas formation can be monitored even in such cases where the gas is a natural consequence of normal functionality of an on load tap-changer (OLTC). In this case the flow relay is designed to trip the transformer when the gas starts to move toward the conservator. For hermetically sealed transformers, our "RIS" Integrated Safety Detector is a popular choice. It combines key transformer safety functionality in a single, compact device. The RIS has numerous advantages over trying to integrate separate devices for all these safety needs. It only requires a single mounting point, is economically advantageous, as well as functionally and aesthetically better.